Announcing The Maine Gun Safety Coalition/Mom's Demand Action Joint Lobby Day for our Red Flag Bill. Next Tuesday, March 19. Please join us March 19 from 8 AM to 2:30 PM for our lobby day at the State House! We will be speaking to law makers, the public, and the press about our Red Flag bill. Our Red Flag bill empowers family members and law enforcement to seek an Extreme Risk Protection Order, a court order temporarily restricting a person’s access to guns when they pose a risk to themselves or others. 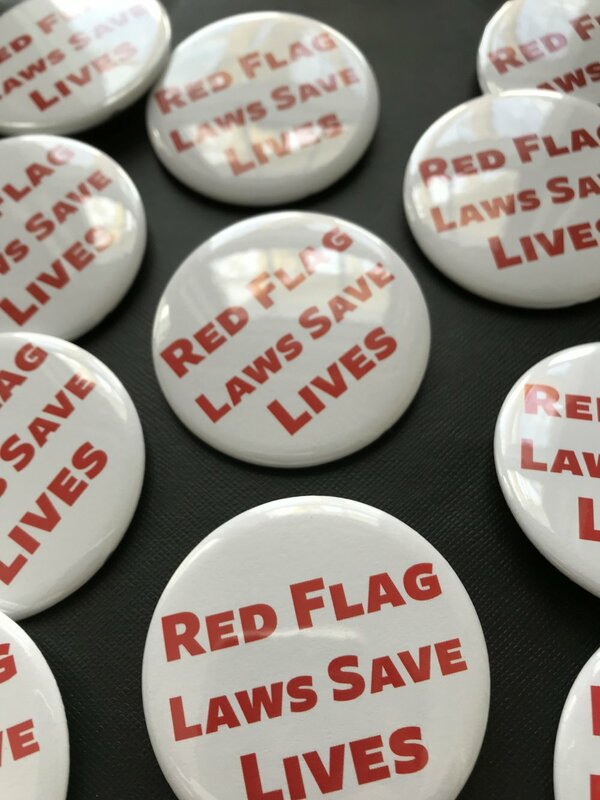 Red Flag Laws can save lives by creating a way for family members and law enforcement to act before warning signs escalate into tragedies. Red Flag Laws directly address the epidemic of suicide by firearm that is gripping Maine, and the country. If you have questions, or can participate on the 19th, please contact Maine Gun Safety Coalition Executive Director Geoff Bickford by email at geoff@mainegunsafety.org. You can read a recent op-ed in the Portland Press Herald about the importance of Red Flag laws here. Pre-game the Super Bowl at what should prove to be an interesting and important discussion on the past, present, and future of the Second Amendment. Maine Gun Safety Coalition’s Executive Director Geoff Bickford will be a panelist for this timely discussion. We hope that you can join us this Friday, December 14 at 6 p.m. at the First Parish at 425 Congress Street in Portland, for the 2018 Vigil to End Gun Violence. All are welcome. This year, MGSC, along with Mom’s Demand Action for Gun Sense in Maine and Remembering Darien will serve as the local hosts of the nationwide Vigil to End Gun Violence. The vigil is in remembrance of the six-year mark of the Sandy Hook Elementary school tragedy, where 20 children and 6 educators were killed, as well as well as the 600,000 American victims and survivors of gun violence since December 2012. This year’s program will feature remarks from family members who have lost loved ones to gun violence, music from the Pihcintu Choir and the Sea Change Chorale, poetry performed by Martin Steingesser and Judy Tierney, a bell ringing ceremony to mark those killed by firearms, and a candle lighting. The Portland Vigil to End Gun Violence is one of 150 such vigils taking place around the nation in 30 states this December, and occurs shortly after the National Vigil to End Gun Violence, held on December 5, in Washington D.C. The nationwide Vigils to End Gun Violence are organized by the Newtown Foundation, the charitable arm of the Newtown Action Alliance, in partnership with American Gun Safety Association, Amnesty International, Brady Campaign to Prevent Gun Violence, Center for American Progress, The Coalition to Stop Gun Violence, Community of Sant'Egidio, Community Justice Reform Coalition, Docs Demand Action, Everytown Survivor Network, Faiths United to Prevent Gun Violence, Giffords: Courage to Fight Gun Violence, Junior Newtown Action Alliance, Moms Demand Action for Gun Sense in America, #NoRA, On Earth Peace, Organizing for Action, States United to Prevent Gun Violence, St Marks Episcopal Church, Survivors Empowered, Survivors Lead and Women's March. We hope to see you there for what should be a powerful evening. Thursday, November 15, 2018, Maine Gun Safety Coalition’s 19th Annual Buzz Fitzgerald Award Dinner. Please join us on November 15 for the Maine Gun Safety Coaltion's 19th Annual Buzz Fitzgerald Award Dinner. Every year we select Mainers who have been a force for gun safety, and recognize them for their hard work, courage, and moral vision. This year, we are privileged to honor all of the students across Maine who worked tirelessly to bring an end to gun violence in the wake of the tragic mass shooting in Parkland, Florida. These students organized protests and walk-outs, spoke at rallies, advocated for new gun safety measures, and persuaded their peers and adults alike to join the cause of gun safety in Maine. At the dinner, a select group of students will recieve the Fitzgerald Award on behalf of their fellow students. We will also honor recently-retired Chief of the Portland Police, and Maine Gun Safety Coalition board member Mike Sauschuck for his years of leadership in support of gun safety. Ticket sales go directly to supporting the Coalition in its continued work advocating for gun safety measures in Augusta, and around the state, distributing free trigger locks for any gunowner in need, and being a leading voice for keeping Mainers safe. 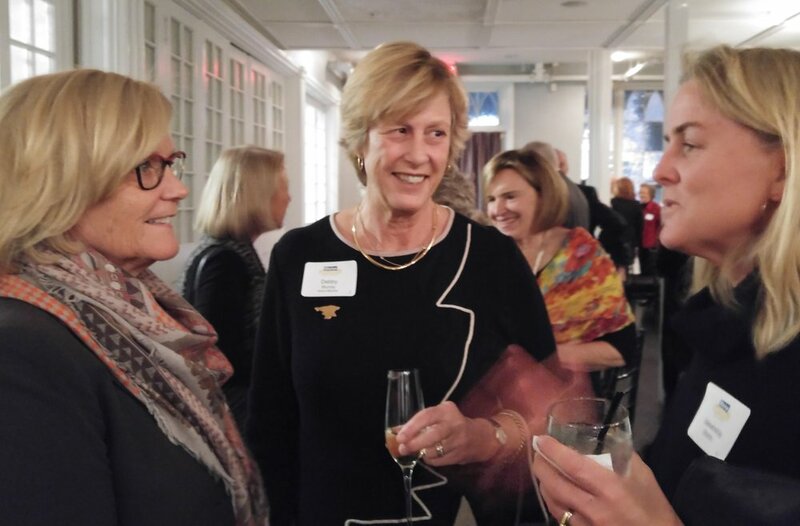 The Maine Gun Safety Coaltion would like to extend a heartfelt thank you to our Host Committee for their support of the Fitzgerald Dinner, and of the Coalition's work to keep Mainers safe from gun violence. Monday, April 2 – Gun Violence Prevention Advocacy Day, is an opportunity for MGSC and coalition partners including Mom's Demand Action, domestic violence groups, and public health practitioners to advocate for bills such as Senator Dion's red flag law that was recently introduced thanks to the legislative council. Read MGSC's testimony from last year when we introduced a similar bill. Tuesday, April 20 - Walk-In Against Gun Violence at USM - If we're going to make lasting change, we must educate and support high school and college students as they seek to learn more about gun violence policy and how to translate policy into political action. A National Day of Action Against Gun Violence in Schools is scheduled for April 20, 2018, the 19th anniversary of Columbine. Since April 20 falls during Maine's spring break and makes a school walkout impossible, MGSC is planning a WALK-IN Against Gun Violence. We invite high school and college students from around Maine to come together at the University of Southern Maine Portland campus to teach each other about how to make Maine a safer place. Students can register for this FREE event and teachers can sign-up to help here. Parkland, Florida School Shooting: A former student of Marjory Stoneman Douglas High School shot and killed at least 17 people and wounded 14 others on February 14, 2018 with a military-style assault weapon and large capacity magazines. Read MGSC's call to action in response to this tragedy. 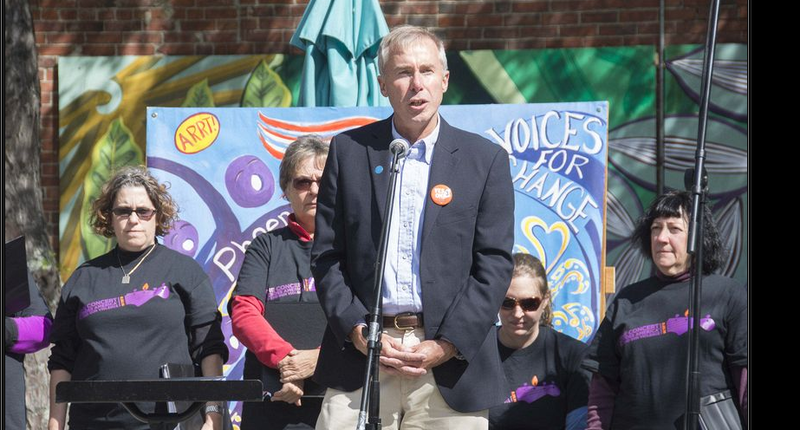 Suicide Prevention: The Portland Press Herald published a Maine Voices column by MGSC Executive Director Nick Wilson about the need to collaborate to prevent firearm suicides and an unfortunate experience with American Foundation for Suicide Prevention. Federally Mandated Concealed Carry: Legislation before Congress would override state permitting laws that regulate who can carry a loaded hidden gun. We've included a new Johns Hopkins report about this dangerous legislation. Guns for Drugs: Maine is a source state for crime guns. Our new backgrounder explores how drug traffickers from Connecticut, Massachusetts, and New York sell heroin and cocaine in Maine and use the proceeds to buy illicit guns by exploiting Maine's weak gun laws. Domestic Violence Mass Shooting in Madison, ME: We know that the most dangerous time for a woman in an abusive relationship is when she makes an attempt to leave, especially when the abuser has easy access to firearms. On July 5, 2017, Carroll Tuttle Jr. went on a shooting rampage that claimed the lives of his wife, son, and a neighbor over the untrue belief that his wife was having an affair. "We have to ask ourselves why we are making our kids suffer for the lack of responsibility of our government. Why are our kids braver when they go into school then we are when we cast our votes?" The full text of Speaker Sara Gideon's speech is available at her website.